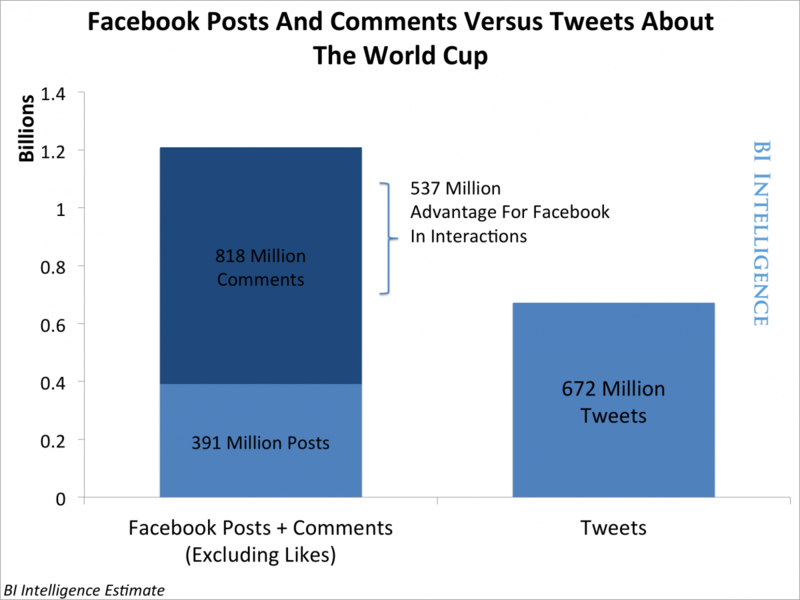 While Facebook announced that during the World Cup the social network had seen 3 billion "interactions," including Facebook posts, comments, and likes. 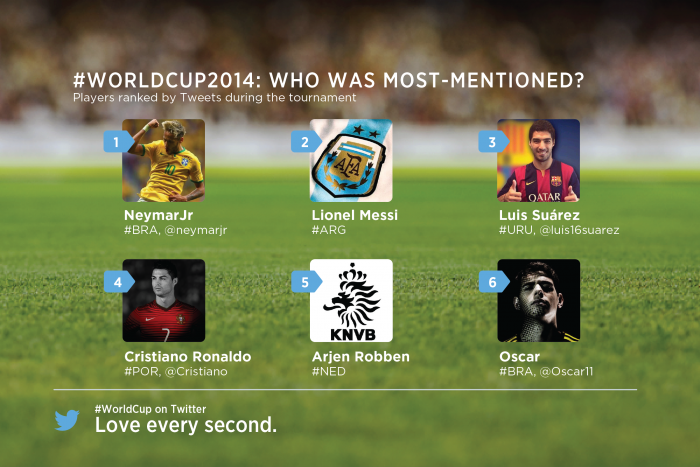 2 Most tweets were shared the most during the Brazil vs Germany semi-final match. 3. 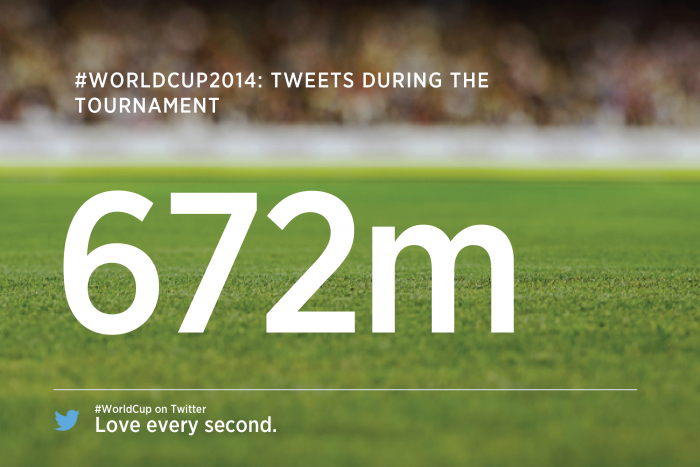 Fans sent 618,725 Tweets Per Minute when Germany won the #WorldCupFinal. Based on estimates, the comparison reduces Facebook's lead over Twitter dramatically, from 2.3 billion interactions to just 537 million.